Originally from Danville, Illinois, Charlene Mackin has an exceptional business pedigree and well-earned reputation for providing the highest levels of client satisfaction. After graduating from Southern Illinois University with a Bachelor of Arts degree, Charlene worked as the manager of creative development at Chico’s Clothing Design Department. Charlene transitioned her career to property managemen... more.t in 1980, and later shifted her concentration to the residential real estate component of the industry. 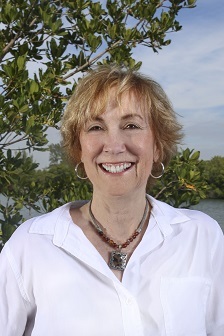 A resident of Palm Island since 1998, Charlene served as a broker with her own company, Mackin Realty, which specialized solely in properties on the island. This in-depth, focused market proficiency has made Charlene a uniquely qualified expert in the residential and rental lifestyle options of Palm Island. We recently purchased a home on Palm Island with the help of Kevin Mackin. We wanted to let you know how pleased we have been with how Kevin handled things. He is friendly, knowledgeable, thorough, understanding, trustworthy, and goes above and beyond to deliver great customer service. We also worked with his wife Charlene, who also possesses the same characteristics, when we rented a home earlier this year on Palm Island. Both Kevin and Charlene are great to work with, and we could not be more pleased. - Joe & Susan N.
She has always gone way above and beyond my expectation for making ‘island time’ a perfect experience. She has always answered our many questions, a lot of them, and never made us feel like we were bothering her. This last visit she really took care of our family and made everything extra special. I have not found a more pleasant experience when making any other travel plans! I just don't know if I want to share her or our piece of the “pie” because we want it all to ourselves. For all the years that we have stayed at Summer Place and Studio for our family vacation, it has been our pleasure to work with Charlene Mackin. She has always been accommodating, before, during and after. Whatever we needed or wanted, she made it happen. Our stays have always been great. Shopping, crib rental, tickets, whatever, it was always taken care of with a smile by Charlene. She always makes us feel like we are friends, not just renters. - Judy & Ken B.